Hello! It has been a little while since I posted hasn't it? Well that's because I have been working on a few 2b2t related things. I'm happy to announce a new section to jamesrustles.com, the 2b2t maps! These are a collection of interactive 'GoogleMap' style maps of various places on 2b2t. It is also mobile-ready just like the blog is. 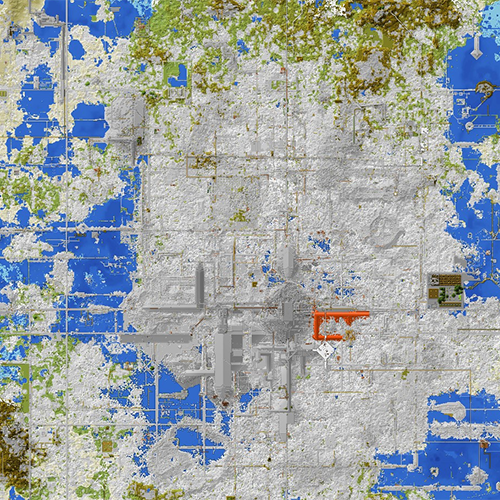 It is launching with a map of spawn. This map was updated on the 25th of January and extends 1000 blocks from 0,0. As time goes on, more maps will be added, one will be a larger spawn map, around 4000 blocks out from the center and maps of some bases too. If it still says Coming Soon, hit the refresh button. Good job nothing under 1k survives for too long anyway then! I wonder if the server has reached a terabytes yet?